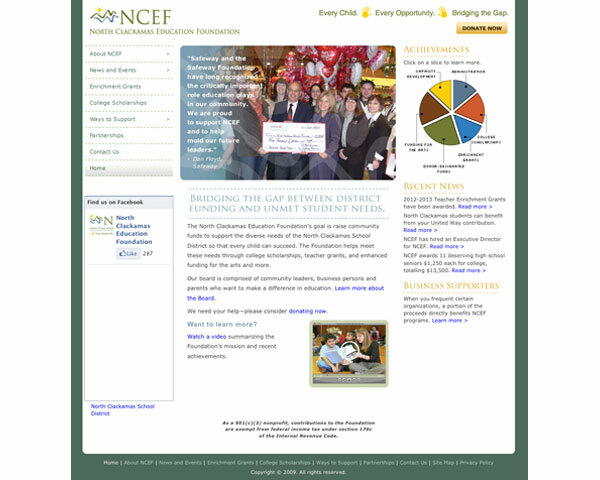 Through an RFP, Resolutions was awarded this website design proposal. Over the course of several meetings, Resolutions provided a rich architecture of information for this website. Resolutions provides website maintenance using Adobe Dreamweaver for this site. 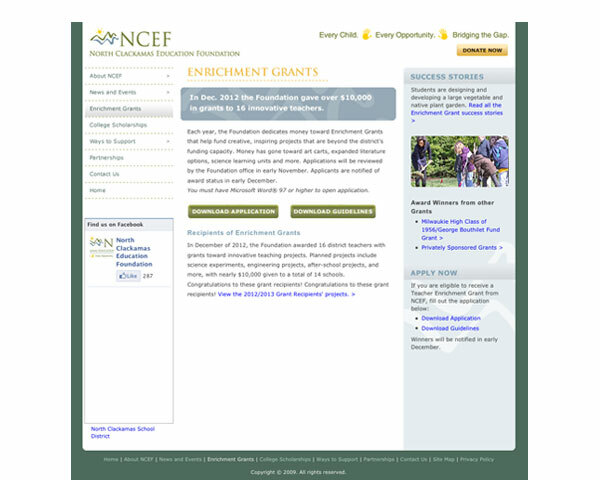 The success of the NCEF’s website granted Resolutions the opportunity to produce a print brochure for this non-profit foundation’s serving the North Clackamas School District.